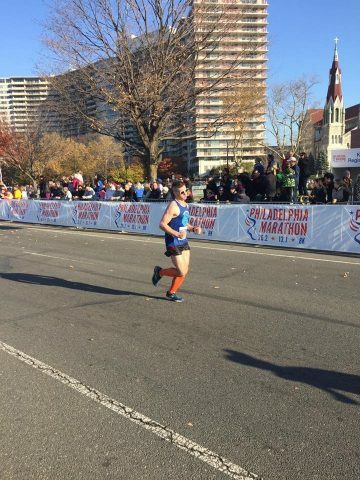 Philadelphia Half Marathon | Run S.M.A.R.T. I wanted to thank you and your team at the Run S.M.A.R.T. Project for A+ direction and a big contributor to my race PR. This coming year, I’m looking to build my base with shorter races and will make a BQ attempt in 2018. I will definitely be looking for many more training plans for these future races from you folks, definitely. Run SMART client Emily Lilja of New York, NY set a huge marathon PR in Chicago last month and turned around one month later and improved on her half marathon as well. 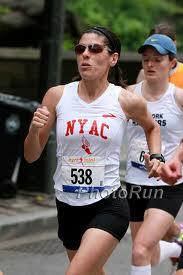 When Emily signed up for private coaching this past summer her marathon PR was 4:54:38. At Chicago she dropped 26 minutes off her best finishing in 4:28:34. [Full results] Last week at the Philadelphia Half Marathon Emily shaved 5 minutes off her best finishing in 2:07:55. Emily works with Run SMART coach Ann Alyanak. Congrats to Maria and her Run SMART coach Ann Alyanak. This was just over a 3 minute PR for Maria and her race strategy was brilliant. She averaged 6:15 per mile for the first 10k then knocked down her overall average to 6:12.